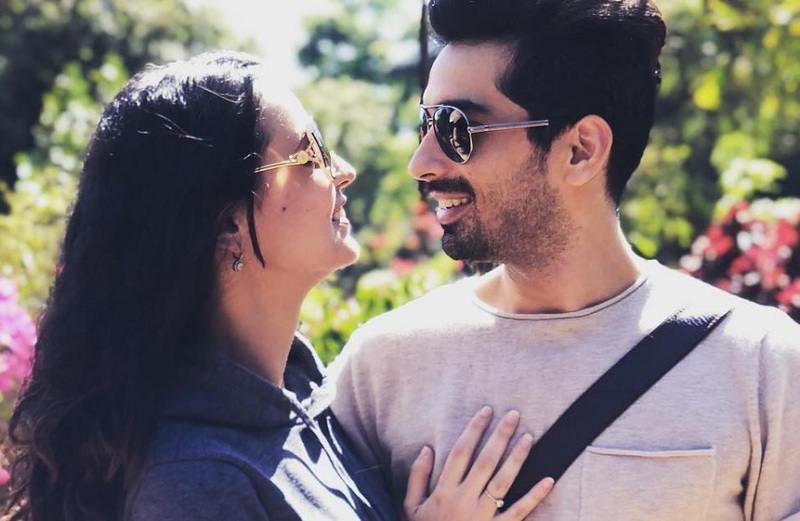 This Is How Sanaya Irani Made Mohit Sehgal’s Birthday All The More Special And We Bet These Are The Cutest Wishes We Have Seen Lately! December 3rd had been the birthday of Mohit Sehgal and this time it was very special as Sanaya Irani, his wife decided to surprise him with pleasant wishes on behalf of her from everyone! With the hashtag of #SanayaLovesYou, she made Mohit’s family, friends and colleagues also wish him on behalf of her and tell him that ‘Sanaya Loves You’. Moreover, while Sanaya Irani is busy shooting for her next series with Vikram Bhatt, she decided to wish Mohit in the most unique manner possible. Engaging the entire crew of ‘Ghost’ and ‘Badnaam’, she wished a surprise ‘happy birthday’ to Mohit under the direction of Vikram Bhatt himself! I know it’s been a while since I’ve posted anything about what I’m doing away from Bombay! So here it is guys, one of my most favourite scenes, beautifully directed by @vikrampbhatt! Thank you Vikram for letting me share this with everyone! I also want to thank everyone who was part of the scene, the cast, crew, thank you everyone!! @itsmohitsehgal @shivambhargava @ameetchana @rabiamaddah . And we would ask you to definitely not miss these two videos below! On one hand, Mohit Sehgal’s family wishes him a very happy birthday with his nephews and niece reminding him that their ‘Maami (Sanaya) loves him’. On the other hand, Gautam Hegde, Akshay Dogra, Barun Sobti and his wife Pashmeen too took part in the making the day special for Mohit Sehgal. Congratulations Divyanka Tripathi Dahiya - The ONLY TV Actress In The Forbes 2018 List!